The internet has revolutionized the way that we do many things, from buying plane tickets to communicating with friends to doing research to reading newspapers. Another one of the major ways that the internet has changed our habits has to do with buying prescriptions online. These days, there is no need to go to an actual pharmacy – you can simply visit an online pharmacy and order the medicine that you need quickly and conveniently from the comfort of your own home. One of the main advantages that online pharmacies offer is the fact that the price of medications is cheaper than it would be at a brick and mortar establishment. This is because the online pharmacy has much lower overheads. Also, when you are buying online you can sometimes buy medications wholesale or in bulk so that you will be able to save even more money. With the touch economy keeping everyone in a financial crunch recently, it is important to save money in any little way that you can! When you walk into a conventional pharmacy, you will have to mention your medical problem and ask questions about it face to face with a pharmacist – which can be very embarrassing sometimes. Also, in a crowded pharmacy it is difficult to discuss your medical problems without other people overhearing. When you are ordering products online you will be able to do so in the privacy of your own home, which is much less embarrassing. No one else needs to know about your medical issue, so there is no need to worry. Sometimes it can be difficult, time consuming or inconvenient for you to get out to a brick and mortar pharmacy. Maybe you work long hours and the pharmacy is always closed when you finish work, or you have a physical disability that makes it hard for you to get around. Or perhaps you live somewhere quite remote and visiting the pharmacy is a long drive. Whatever the reason, buying your prescriptions from an online pharmacy can be a lot more convenient because you won’t even have to leave your home. Also, when you start to use the same online pharmacy more than once, you will be able to “save” your medications on the “favorites” page, so that you will be able to access your order even more quickly. When you are shopping at an online pharmacy, you will enjoy a much bigger and more varied selection of medications than you would usually see at your average brick and mortar pharmacy. This means that there is a much better chance of the pharmacy having a certain medication in stock. Also, if you cannot find the item that you are looking for, the online pharmacy can order the product instantly – which will be much faster and more convenient than a brick and mortar pharmacy ordering it. These are just a few of the reasons why buying from an online pharmacy is advantageous. If you think that you might benefit from shopping at an online pharmacy, make sure that you choose carefully and select a reputable and trustworthy website. 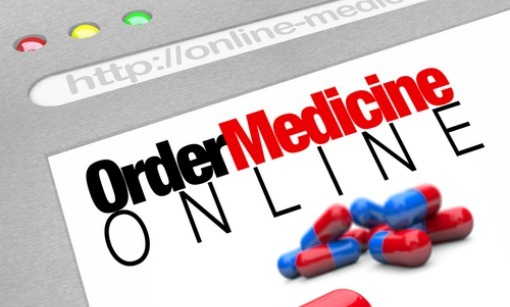 A good online pharmacy will require you to submit a copy of your prescription before they process your order. This is required by law and you should be suspicious of any online pharmacy that doesn’t. Also, you should look for an online pharmacy that is properly licensed and displays its license number on the website. You can also read online reviews like NorthWest Pharmacy ratings to find out more about the online pharmacy in question and whether or not other customers have had a good experience with it. With this in mind, why not consider using an online pharmacy next time you need to purchase medications and finding out how the internet has made things faster and easier.